You, of course, hate the seed when you are savouring your favourite watermelon. However, are you aware that without the seeds, you can’t get to eat and enjoy that fruit at all? Seeds are important for plants in more ways than you can actually imagine! In this chapter, we will look at the types of seed and study about their characteristics in more detail. A seed is a basic part of any plant. The ovules after fertilization, develop into seeds. A seed is made up of a seed coat and an embryo. The embryo is made up of a radicle, an embryonal axis and one (wheat, maize) or two cotyledons (gram and pea). A seed is found inside a fruit which converts into a new plant when we plant it. Hence, the seed is the most important part. Let us now look at the different types of seeds and study their characteristics. Let us now study about these types of seeds in brief. Seed Coat: In the seed of cereals such as maize, the seed coat is membranous and generally fused with the fruit wall, called Hull. Endosperm: The endosperm is bulky and stores food. Generally, monocotyledonous seeds are endospermic but some as in orchids are non-endospermic. Aleuron layer: The outer covering of endosperm separates the embryo by a proteinous layer called aleurone layer. Embryo: The embryo is small and situated in a groove at one end of the endosperm. Scutellum: This is one large and shield-shaped cotyledon. Embryonal axis: Plumule and radicle are the two ends. Coleoptile and coleorhiza: The plumule and radicle are enclosed in sheaths. They are coleoptile and coleorhiza. Learn more about the Morphology of Flower here. Seed coat: This is the outermost covering of a seed. The seed coat has two layers, the outer testa and the inner tegmen. Hilum: The hilum is a scar on the seed coat through which the developing seed was attached to the fruit. Micropyle: It is a small pore present above the hilum. Embryo: It consists of an embryonal axis and two cotyledons. Cotyledons: These are often fleshy and full of reserve food materials. Radicle and plumule: They are present at the two ends of the embryonal axis. Endosperm: In some seeds such as castor, the endosperm formed as a result of double fertilisation, is a food storing tissue. In plants such as bean, gram and pea, the endosperm is not present in the matured seed. They are known as non-endospermous. Question: What are the types of mature seeds? Non-albuminous – These seeds do not contain any residual endosperm to store the food. Example: pea, groundnut. 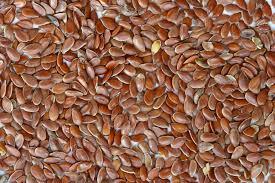 Albuminous – These seeds consist of an endosperm to function as a storage for the food. Example: wheat, maize.